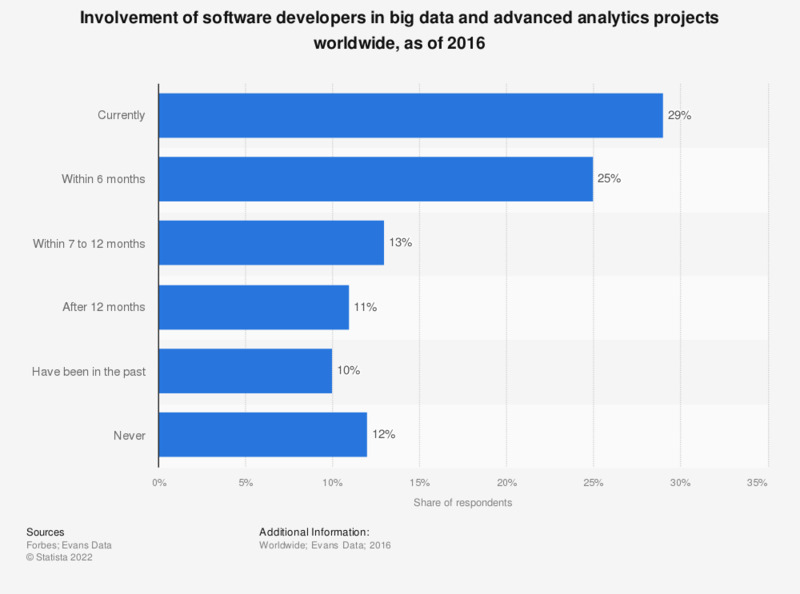 The statistic shows the share of developers worldwide that are, will be, or have been involved in a big data or advanced analytics project, in and around 2016. When surveyed, 29 percent of developers said they were currently involved in a big data or advanced analytics project. The question was phrased by the source as follows: "When do you think you will be involved with a big data or advanced analytics project?"